A reverse mortgage is a home loan (used for any purpose) where a home owner, 62 and older, can access the equity (cash) built up in their home. 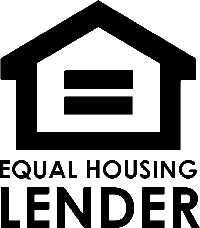 The HUD-insured Home Equity Conversion Mortgage (HECM) is the program that is used. As demand increases, more reverse mortgage programs from different organizations will become available. It is called a reverse mortgage because you borrow money from a lender, but the lender makes monthly payments to you, rather than you making monthly payments to the lender. All interest is paid at the end of the loan, rather than in the beginning. As the homeowner receives monthly cash income, the loan balance increases. In the following twelve-month example, the homeowner begins with a debt-free home. As money is received by the homeowner, the mortgage grows. By the end of month twelve, the homeowner owes the bank $6,000 plus $232.44 interest. All Reverse Mortgage loans have a variable rate. *Many criteria are considered when determining the reverse mortgage loan amount, interest rate, etc.